Good golly, Miss Polly! What a state you is in! Giddy and reeling, your head in a spin. Did dapper John Capper flash you his grin? Or frisky Tom Whisky splash you with gin! Good golly, Miss Polly! Why you is so mad? Did you get flicked again, by another young lad? Was it William Golightly? He always was bad. He don’t truly love you, I think you is been had. Good golly, Miss Polly! You been out all night? Prancing round town trying to find Mister Right. I tells you, my dear, would you heed my advice? They’ll cheat soon as look at you, then pretend it’s alright. Good golly, Miss Polly! Come rest your tired head. Lay down your burdens, right here on my bed. Don’t never listen to what anyone said. I love you Miss Polly, until I am dead. I generally consider myself to be a financially responsible, frugal person. That is, I don’t set budgets or track my spending; rather I simply try my best to spend money wisely by taking advantage of discounts and special offers (OzBargain is my most visited website second probably only to Google or Facebook). That is especially the case when I make a big-ticket purchase, such as a new gadget. But today, something happened that actually made me feel a little bit sick. Make no mistake, I made an epic purchase, but I’m left wondering whether I’ve made a Faustian deal in order to score my “bargain”. Last week Sydney was hit by a freak storm, which caused chaos and devastation throughout the state. In an attempt to avoid having to battle the elements, I asked, and was granted, leave to work from home. In hindsight, this turned out to be a rather bad decision since a fallen tree took out the power lines and left us without electricity for 6 hours, and me completely unable to do any work. “I need a laptop,” I thought to myself. 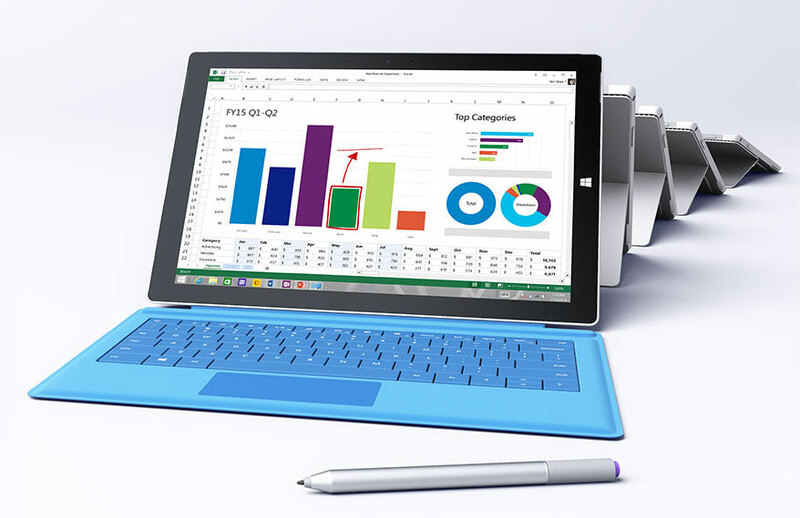 The following week, there was a post on OzBargain about a sale on Microsoft Surface tablets. I’d already been um-ing and ah-ing about whether to finally admit defeat and declare “pure iPad” a failed experiment. Then I read a leaked memo saying that Microsoft would be bumping up the prices of Surface by around 20% in response to the declining Australian Dollar. I was also lamenting having not salary sacrificed a laptop in the previous FBT year. Anyway, each and every sentence in that last paragraph could have been a separate blog post. Suffice to say, I talked myself into getting one, but at that point “insane mode” kicked in – this is where I attempt to find every possible discount and benefit available. It’s even worse than it looks, ‘coz I haven’t spread them all out properly. Big W and Woolies had run out of $100 denominations in JB Hifi gift cards, so I purchased thirty-one $50 gift cards. This is in spite of the 10-card transaction limit, and the fact that each card had to be activated online, so I was probably hogging a self-checkout terminal to myself for a good 10-15 minutes. Then there’s the waste. Oh the waste. The small tree’s worth of receipts and carriers (the cardboard bit attached to each gift card) from my little endeavour was unfathomable. Having only just this morning read an article about this woman in New York who lives a zero-waste lifestyle, I saw the folly of my ways. I’ve done all sorts of things in the past to get discounts, but my mind boggled when confronted with solid physical evidence of these schemes. Granted, this feeling will likely vanish the moment I unbox the device and marvel in its awesomeness, but for one brief enlightened moment, I knew the true cost of my thrifty ways and caught a glimpse into the dark heart of our capitalist system. I discovered time travel back on the 29th of December, 2013. You might wonder at my using such an archaic date nomenclature if I had access to all of eternity, but the nature of the thing is not as you might think. I am not a traveller in time; I am a scientist, and I should not be using language so imprecisely. However, I do travel, and it is not going back in time to kill your grandfather and all that nonsense. This is impossible, and I can prove it. It is a very different kind of travel, for very different reasons. What I discovered was a kind of particle. Not a particle of matter, but a particle of time. Billions upon billions of these particles surround us at any moment, swarming through us – not really affecting us, but at the same time changing us completely. We age because the particles lap at our bodily matter like waves on a rock. But the particles care not that they are propelling us all forward. They are simply fleeing from the singularity, and hence we have only ever known time as marching inexorably onward. Going back in time is possible in as far as you can unwind all of history, playing 7 billion movies in reverse. You must calculate and undo each and every reaction between matter and these particles, in the correct order, for each and every quark on the planet (and possibly those beyond), in order to turn back the clock. Of course, it is far from necessary to perform this feat on such a grand scale; one might only have need of it on a smaller scale. It can be done, and I will achieve it. The first part is easy: the reaction with the particles is reversible; one merely needs to direct them in the right way. The other part not so much: performing the calculations to achieve a complete and correct reversal requires an immense amount of computing power, which itself requires the energy of many suns. But this is no more than an inconvenience. I have a ship, and all I have done is set it on autopilot towards the nearest star, and locked myself inside a chamber that prevents the particles from decaying my body, effectively putting me into a complete stasis only to wake once I have achieved my destination, ready to feed. I travel from star to star, devouring each one to progress my calculations one atom at a time. And the atoms number as many as the stars. So I will destroy this universe. Just to get you back. I originally posted this on Quora, but it just disappeared into the great nebula of excellent creative writing already on the site.